At Yanapuma Foundation we believe that what makes our organization thrive is the people who work with us on a daily basis. Without our energetic and dedicated team of Ecuadorian and International professionals, interns and volunteers, Yanapuma would not be what it is today. Professional Experience: Previously employed as Projects Director for an Ecuadorian NGO. Over 20 years of experience in self-employment and small business development in the fields cabinet-making, furniture production and timber milling in Scotland. Education: Bachelors’ degree in Psychology from Hawaii Pacific University and Ph.D in Environmental Psychology from the Graduate Center of the City University of New York. Responsibilities: Ovesight, planning, development and financial control of Yanapuma Foundation. Website design and maintenance, promotion and publicity, development of external relations. Janet Llanos - Horticultural and nutrition expert and project organizer. Professional Experience: Janet has worked in a variety of projects in the Santo Domingo area for organizations such as Caritas and the Consejo Provincial, offering her skills in design and construction of vegetable plots, nutrition, diet and health. Responsibilities: Janeth is in charge of construction of the 87 vegetable gardens for the Inter American Foundation project in Tsa'chila communities, as well as teaching local beneficiaries how to grow vegetables. Professional Experience: Elizabeth has worked in various aspects of tourism around Ecuador with foreigners, with responsibilities as guide, financial management of tours, translator, and logistics. Responsibilities: Elizabeth's responsibilities include organizing and overseeing the accounts of both the Spanish school and foundation. In addition she is regularly involved in the work of the foundation, overseeing project progress and program monitoring, as well as direct involvement with the running of the volunteering department. Other Interests: She enjoys camping and the outdoors, walking around Quito,salsa, and discussing subjects such as politics, economics, tourism, and culture. 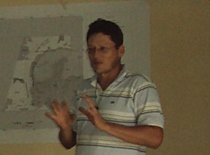 Professional Experience: George has lived and worked in conservation projects in the Caimito area for 11 years. He is currently working with USAID on the Costas y Bosques Sostenibles, is the Secretary of ECOCACAO, and the Vice President of Asociación de Desarrollo Galera San Francisco. Responsibilities: Coordinate Yanapuma's activities in the Cabo San Francisco area, organize volunteer projects, liaise with local authorities and actors, project planning. Responsibilities: Rafael and Wilson are Tsa'chila who have spent 3 years learning how to grow and care for improved varieties of cacao. Now they are in charge of the development of the cacao project funded by the Inter Amerian Foundation, and are working to train other Tsa'chila farmers in the same techniques. 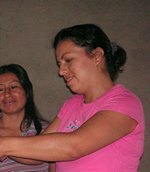 Responsibilities: Christina works with Tsa'chila women to improve their family's diet through incorporating vegetables into their daily diet and teach them about nutrition, in the project funded by the Inter American Foundation. 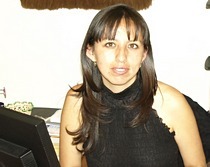 Professional Experience: Cristina has worked for many years in community tourism, cultural exchange and Spanish teaching, and admministration in travel agencies, as well as leading groups, developing and carrying out projects, and working with volunteer groups, and interpreting for foreign businesses. Education: Certificate in advanced Spanish tuition, Certificate in English as a second language, Certification with Ispeak - Colombia. Responsibilities: Cristina coordinates our volunteer programs for individuals and groups, organizing project work and dealing with the logistics of the volunteer department in general. Other Interests: Music, dance, culture, sport. 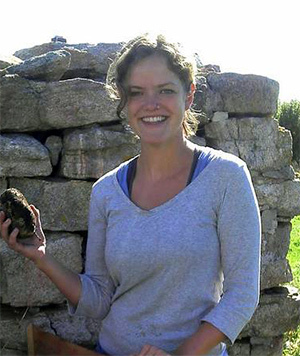 Professional Experience: Rachel has worked for a number of international NGOs including Heifer International, Broadmoor Improvement Assoc, Physicians for Human Rights, Plan USA, and Star Island Corporation, as well as being involved in community agriculture and WWOOF in South America. Education: BA in Human Rights with a concentration in Latin American and Iberian studies. Responsibilities: Rachel works alongside Cristina as a volunteer and intern coordinator, specializing in the Study Abroad, Service Learning and Global Citizenship programs. 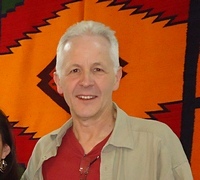 Responsibilities: Richard is working on various cultural projects with the Tsa'chila - recording a life history, helping with the development of the radio station, helping with organization of various cultural and other groups, and evaluating the FIA project. Professional Experience: Kelly worked for Yanapuma in 2011 and 2012, starting as a volunteer group leader and continuing as volunteer coordinator, before leaving to return to the US to study for her Masters degree. Upon graduating we were delighted to welcome her back to work with us once more! 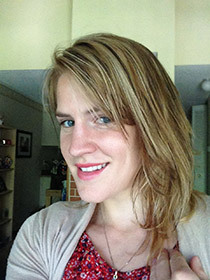 Education: Kelly has a Masters degree in Social Work. Responsibilities: Kelly is one of our volunteer coordinators/counselors responsible for working with individual volunteers as well as organizing groups of volunteers. Responsibilities: Alexandra organizes the volunteering projects and works with volunteers in Cuenca.